Moving right along here! 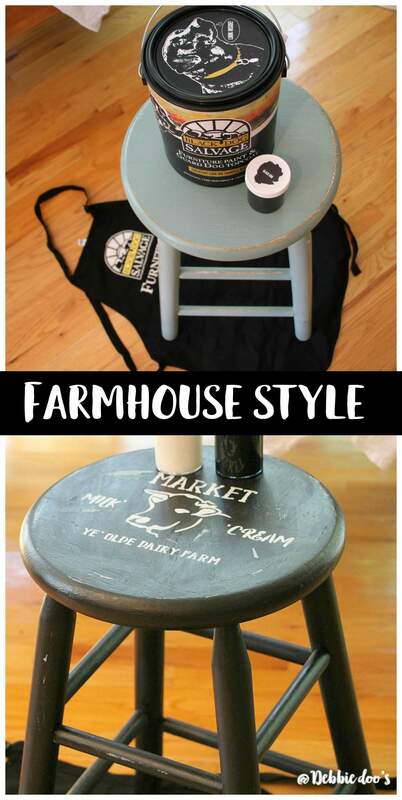 Today I am sharing how to update a thrift store stool with farmhouse style. I scored this stool at Goodwill probably around 10 years ago. If my memory serves me right I paid around $3.00 for it. It was originally oak and I updated it with paint and stencils. Surprise, surprise guess what I did today? The same of course, except I used a new paint I never have tried before and of course one of my own stencils. Still testing out my samples. 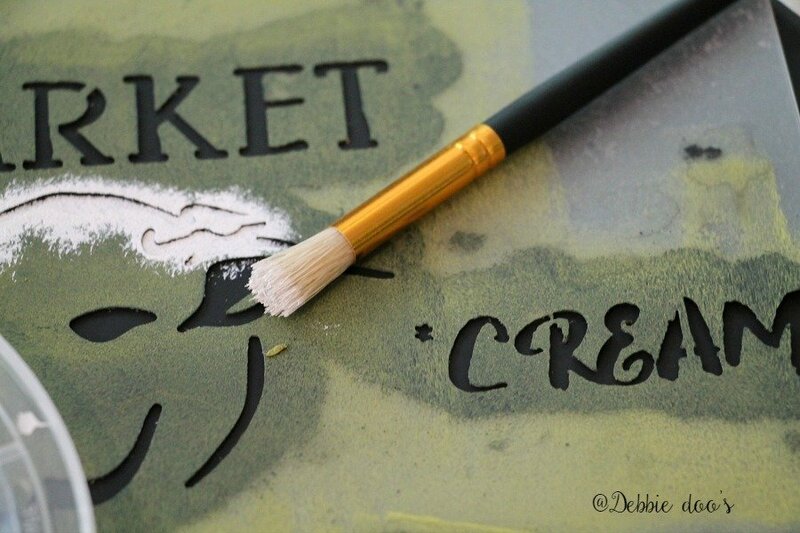 If you missed my diy canvas art post with one of my stencils please go check that out here. 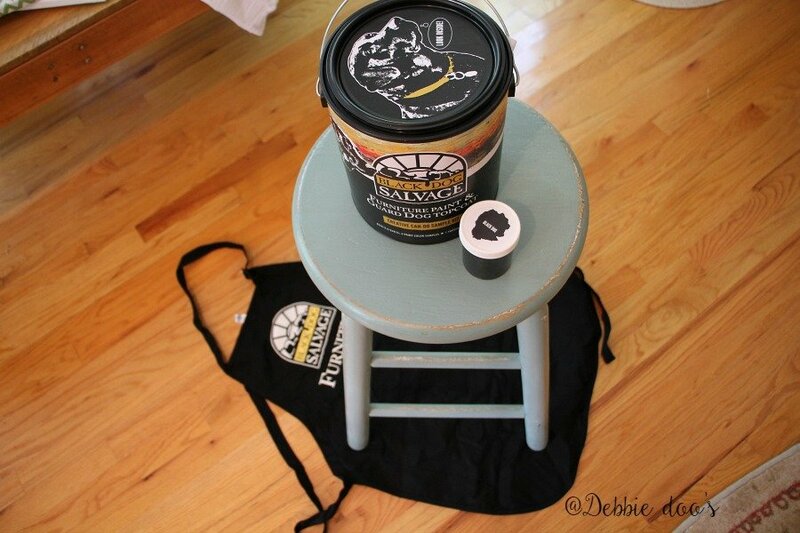 Black dog salvage invited me to try out their new line of furniture paint. They sent me a nice assortment of sample jars to test out. 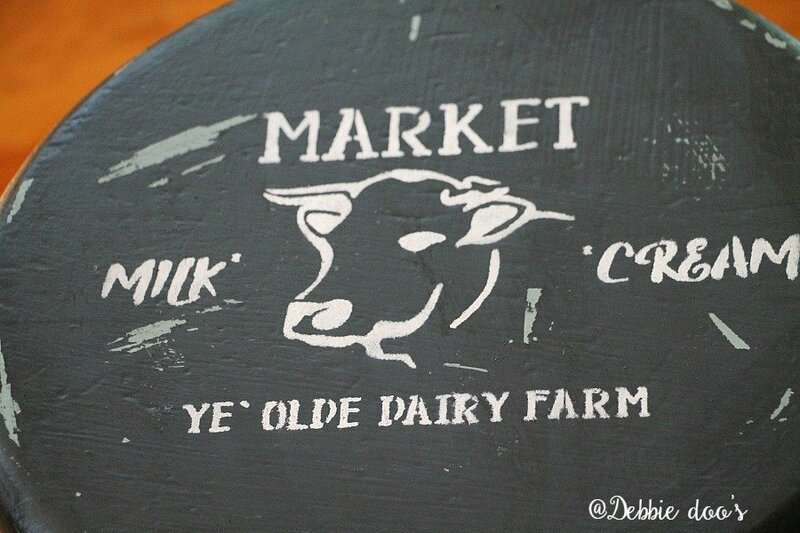 I knew immediately I wanted to paint the stool with their black dog color. I wanted a classic clean look. You can never go wrong with black. The stool only needed one coat of paint, which I was surprised. The paint had beautiful coverage and required absolutely no prep work on my end. That’s a double score! I let the stool dry for a little over an hour and then came in with my stencil for the top of the stool. I lightly sprayed the back of my stencil with adhesive spray and gently placed the stencil on top of the stool.I used my smaller stencil bristel brush and some simple white craft paint I had on hand. I let that dry for about 30 minutes and then I used the Black dog Salvage clear satin top coat. I absolutely love how the stool turned out. In fact, my husband even loved it so much that he is not squawking over me keeping in the kitchen. I’m pretty packed around here with decor and he just shakes his head at me most times. I forgot to mention before I put the top satin coat on, I did lightly sand the stool in random places. 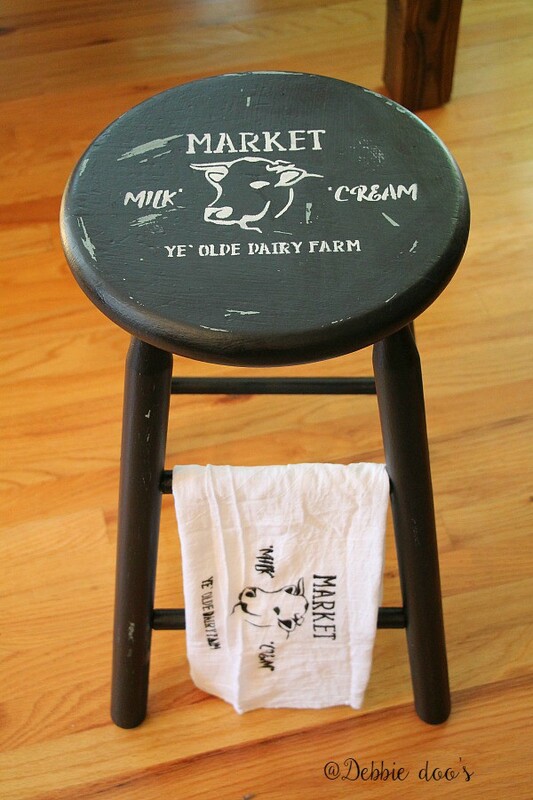 I didn’t over do it on the distressing because I loved the clean classic look of the stool. Notice the little tea towel? Well, I had to make one of those as well. 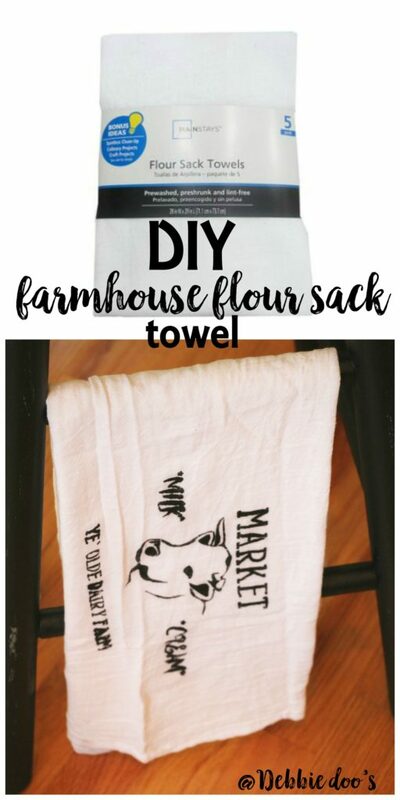 I bought a 5 pack of flour sack towels at Walmart for less than $5.00. What cute gifts these would make as well around the holiday’s. Don’t you think? Pin it, make it, try it:) You will have to wait just a little short while before my stencil line is out. I am anticipating just a few more weeks and my stencils will be available. Add your name to my subscriber list to have me delivered and keep up to date on things. Blackdogsalvage.com or Woodcraft.com where it is available for purchase. It’s really awesome paint. This is not a sponsored post. I did however, receive sample product for my review. How fun, I love it and the stencil too. Very cute! My favorite stencil. Good Doris, happy to hear that! Guess what, Debbie? I just watched about three hours of Salvage Dawgs on TV. What a funny coincidence that you mentioned using their paint in your post today. Now I’m going to go to their website, which I didn’t know they had, and look at the paint! 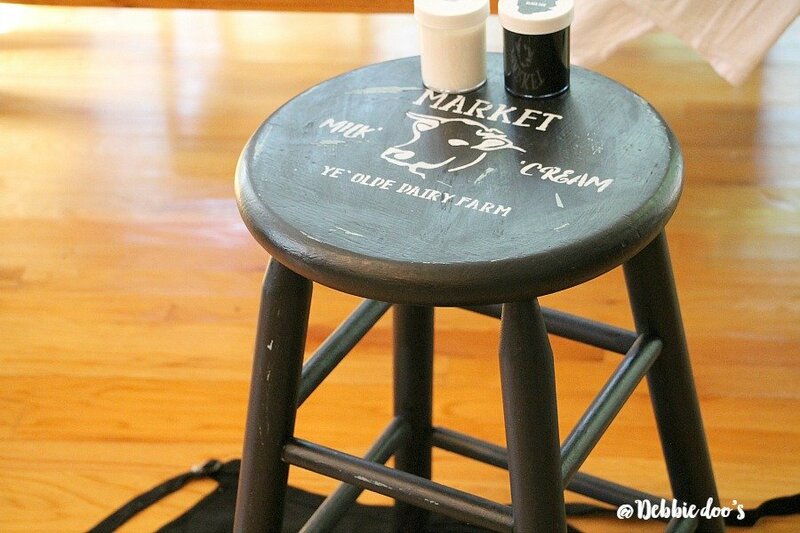 I like the stool painted black and stenciled the way you did it. 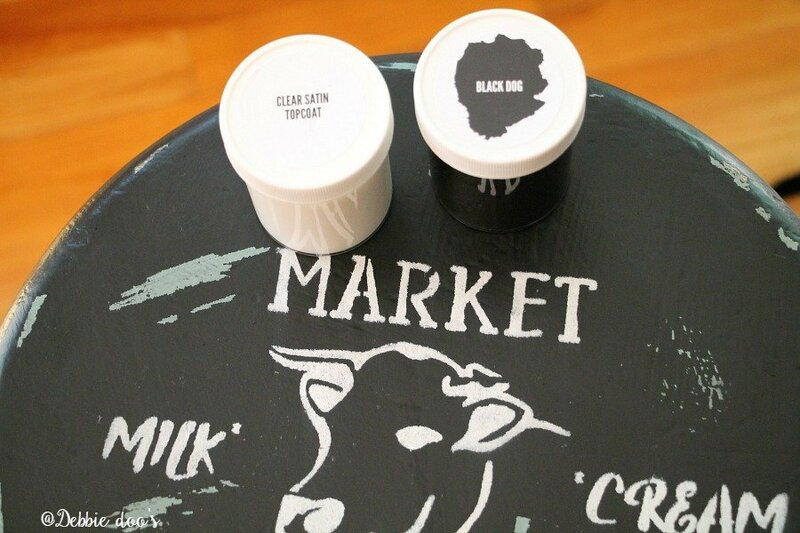 I am anxious to see your stencil line when it is available, too. Happy almost-Monday–another week, here we go! That is so funny!! Yes, go check out their paint. I am anxious too, trust me. I love the stool. I love that stencil and everything about it. Is the paint a chalk paint? How does it compare to the other paints you have used? It’s a water based paint. It was fantastic in all honestly. The coverage was awesome! I would recommend it for sure. That is ADORABLE! Love the stencil!! Thanks Anne, I appreciate the visit. I love the stool and Black Dog Salvage. We visited there last year and planning another trip this fall. I will check out their paint. Now when will your stencils be available I love them. This is the cutest Debbie!….Had no idea that B.D. Salvage had a paint line….I love visiting that great place!….It’s enormous and filled with many wonderful treasures! I wish I could go there! Maybe some day. Looks very cool. 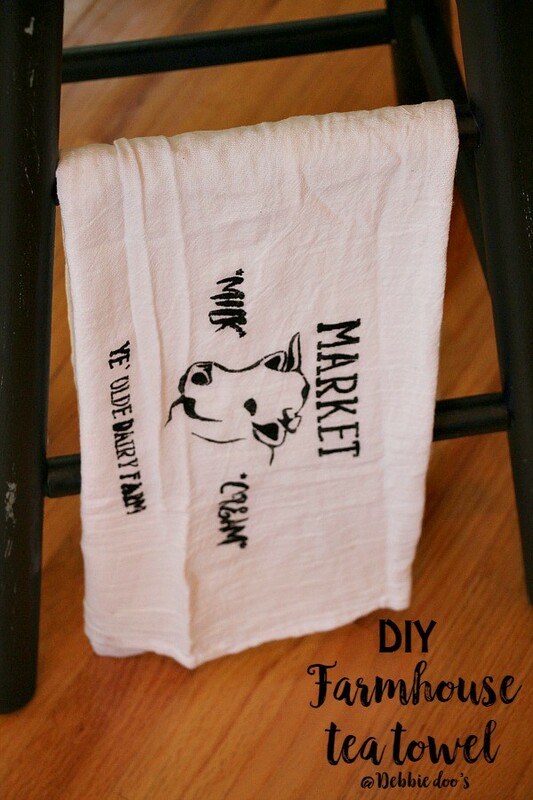 Your stool turned out great and so did your tea towel. That’s such a cute stencil. I can hardly wait until we can purchase! Thanks for the inspiration! Thanks Kris, I can’t wait to get them out there too!